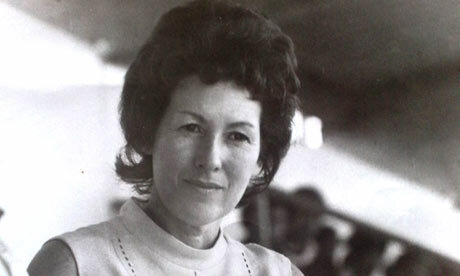 Harriot Bolton was a previous general secretary of one of SACTWU’s founding trade unions, the KZN-based Garment Workers’ Industrial Union (GWIU). The GWIU was one of South Africa’s oldest trade unions. It was formed on 2nd August 1934 under the leadership of Mr. James Bolton, whom Harriot later married. Harriot was born in 1927 in the then Transvaal. Her first job after college was at the South African Typographical Union, as a bookkeeper. Harriot first became general secretary of the Garment Workers’ Industrial Union in 1964 and served in this capacity for ten years. During its early formative years, the GWIU drew its membership mainly from indentured Indian labour that made up the bulk of the industry in KZN at the time. The GWIU had later merged with the Cape-based Garment Workers' Union (Western Province), in November 1987 to form the Garment Workers' Union (GAWU). SACTWU was launched 20 years' ago, in September 1989 at the University of the Western Cape. It was formed out of a merger of the Amalgamated Clothing & Textile Workers' Union of South Africa (ACTWUSA) and the Garment Workers' Union (GAWU). Mrs Bolton also served as secretary of the Furniture Workers' Industrial Union and the Textile Worker's Industrial Union. She also previously served as a member of the general council of the International Textile, Garment and Leather Worker's Federation (ITGLWF) and of the Trade Union Council of South Africa (TUCSA). Mrs. Bolton passed away at the age of 82 on 22nd November 2009. This Award is a proud moment in SACTWU’s history specifically, and for the South African progressive trade union in particular. One of her most significant contributions were to insist on non-racial trade unionism, despite serious pressure from the Apartheid state. If any further comment is required please contact Fachmy Abrahams on 0825222386. Harriot Bolton was born in 1927 in the former Transvaal. After her family moved to Durban, she grew up on the Bluff. She attended Mitchell Girls’ High School in Durban. Her mother was a housewife. She taught the young Harriot and her sisters how to look after the house and make food – the typical domestic duties that were expected of women at the time. It was from her father, Mrs Bolton later realised, that she learned her passion for pursuing equality. While she was growing up, she witnessed her father treating people of different races equally and respectfully. He was a very progressive man for his time. He was a shipwright and worked in construction. The foreman among his employees was a black African man who supervised the work of (amongst others) some white labourers! He also used to organise braais where the young Harriot and her family would eat together with all the workers. Harriot’s introduction to politics and activism began when she started her first job in 1944. She worked for the printers’ union – the Typographical Union –as a bookkeeper, having been sent there by the business college where she had studied. Next door to the Typographical Union were the garment and furniture workers’ unions – led at the time by Mr James Bolton, later to become her husband. James Bolton had been a furniture worker who had come to South Africa in 1928 and had started to organise furniture workers and garment workers. In 1934 he established the Garment Workers’ Industrial Union (GWIU), which in those early days drew its membership mainly from indentured Indian labour - who made up the bulk of the industry in KZN at the time. Through her work at the Typographical Union, Harriot began to get to know the people working at the furniture and garment unions. Gradually she began to assist them with administrative tasks – such as doing the minutes for meetings and typing. She served as Secretary for the Furniture Workers’ Industrial Union and for the Textile Workers’ Industrial Union. She did that for about 3 years until James Bolton returned to the unions. In 1949, Harriot and James got married. They had six children. Sadly, James Bolton passed away in 1964. His death was a major turning point in Mrs Bolton’s involvement with the garment workers’ union. She took over from him as the General Secretary and held the position for 10 years until 1974. One of Mrs Bolton’s major achievements in the GWIU was helping protect the rights of African workers - who were not allowed by law to join the unions in those days. Mrs Bolton was opposed to this discrimination and even managed to negotiate that one particular factory – where workers were black African women – was covered by the Industrial Council’s wage determinations; no minor achievement given the discriminatory laws at the time. Mrs Bolton believed that “the workers were very brave”. She particularly felt that the courage displayed by African workers in joining the unions deserved praise – since the odds they faced were so great. Mrs Bolton believed strongly in the need for unity between workers and unions. For example, she showed her solidarity with black African textile workers in 1973 by supporting the formation of the National Union of Textile Workers (NUTW). The NUTW was a product of the famous Durban strikes of that year, and Mrs Bolton attended their inaugural meeting where she spoke in support of unity and perseverance in the fight against discrimination and exploitation. In her address to the meeting, Mrs Bolton reminded the crowd that “workers should speak with one voice. None should drag behind”. She also noted that: “if the union [NUTW] carries on in the way it has started, the day on which it was formed will be the most historic day for African textile workers”. She was actively involved in the establishment of a least eight other trade unions. In 1975, Mrs Bolton was forced to leave South Africa because of the harassment she received from the police’s security branch. She returned to South Africa, and to the Garment Workers’ Industrial Union, in 1983. Under Mrs Bolton’s leadership, the GWIU achieved much. It put pressure on the Nationalist government to begin to take the demands of garment workers more seriously. One of the union’s concerns was around the negative effects on the local industry of cheap foreign competition. The union “harassed” the government so hat it eventually imposed a fee on imported clothes so they weren’t a better price than locally produced clothing - just on a par, price wise - which helped to save the industry at the time. SACTWU is engaged in a similar struggle today. Later, in 1987, she helped steered the GWIU into a merger with the Garment Workers’ Union of the Western Cape to form the Garment and Allied Workers’ Union (GAWU). This move set the stage for the eventual formation of SACTWU in 1989, when GAWU merged with the Amalgamated Clothing and Textile Workers’ Union of South Africa (ACTWUSA). After the formation of GAWU, in 1987, Mrs Bolton retired from the union movement and went to live in Zimbabwe with her daughter. In 2001 she returned to South Africa. Apart from serving the South African workers’ movement with passion and selflessness for over 40 years, Mrs Bolton also served the international workers’ movement: she was a member of the general council of the International Textile, Garment and Leather Worker's Federation (ITGLWF). She also served as an executive member of the Trade Union Council of South Africa (TUCSA). In the early hours of the 22nd November 2009, Harriot Bolton passed away peacefully at Bill Buchanan Park frail care section in Morningside, Durban. She was 82 years old. SACTWU will remember Mrs Bolton for her principled stand against racial and workplace injustice. She will in particular be remembered for keeping the industry institutions, such as the bargaining council, strong and for her stirling role in the establishment of a number of other trade unions. Mrs Bolton was a very strong woman who worked tirelessly to pursue equality, earning her the nickname ‘Mrs Perseverence’. She steadfastly refused to succumb to the relentless pressure from the apartheid security branch to abandon non-racial unionism. She helped pave the way for worker unity in the clothing, textile and leather industries. SACTWU is saddened by her death but humbled by her excellent contribution toward the local and international trade union movement. Hamba kahle, comrade Harriot Bolton.